As most schools in India gear up for exams, and students burn the midnight oil, my toddler cant wait for April to come and free most of his friends (all older to him) to sideline their school books, and come down play with him. Evenings of late are marked by a dry dusty atmosphere and wails from my son, for lack of friends to play with. A lone lime tree in the heart of our society then comes to the rescue of this harried mum. As we pass by we are greeted by a fresh, citrusy whiff of cool lemonade on a hot summer day, enchanting our wary souls with its heady aroma. The toddler can then spend a good amount of time finding baby limes and pulling at my tee to pluck him some. Repeated pleas of we mustn't pluck fruits at night, and trees too get ouchies are met by even louder wails for the days loot. Lemon, is and always has been my favourite flavour, be it in sweet or savory dishes, lemons always put a smile on my face. Unfortunately I don't make many lemony desserts, as it receives no love from my friends or family. 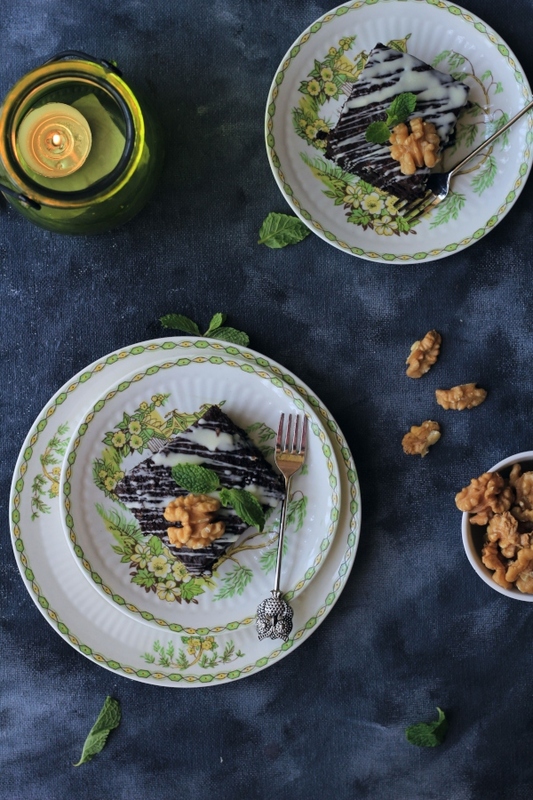 This one time time though tempted by that lone lime tree, I succumbed to temptation and whipped up this delightful base recipe. Lemon Curd, is a tart, tangy and sweet custard that is made from a handful of ingredients, it is used as a filling in cakes and topping on cookies along with making little tartlets very famous. I however have thought of a wicked little use for this delicious custard, but you will have to keep reading this space for a while longer to know what that is! In a sauce pan, cream together sugar, butter and eggs as if you are making a cake. Now add in the lime juice and mix well, the mixture will curdle as soon as you add in the juice, but it will smoothen out once you put it to heat. Cook the mixture over low heat until it looks smooth. Don't let the mixture boil. transfer the curd into a bowl and cover with cling film, making sure that the cling film touches the surface of the custard, this will prevent the formation of skin on top. Allow it to reach room temperature and refrigerate. The curd will continue to thicken as it cools. This recipe uses a slightly different approach in making the lemon curd, by mixing all the ingredients before heating. 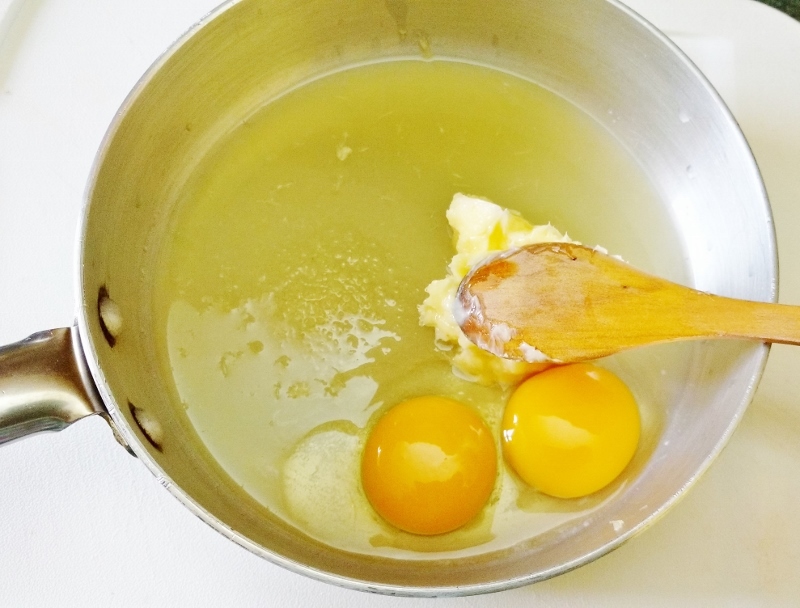 The reason has a little science involved to it, adding the butter earlier in the process will coat the protein molecules in the egg with fat, there by avoiding coagulation once the acidic lime juice is added in. 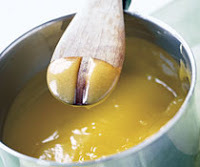 This ensures a smooth and buttery textured lemon curd, there by avoiding the hassle of straining the curd to remove cooked bits of egg whites, which are typical of most lemon curd making procedures. Looks lovely, must try this recipe soon. I share your predicament, lemon desserts are my favourite, but hubby and friends don't much care for them, so I rarely make them. There's only so much one can finish oneself, without getting bored of it.